Did you know breast milk is only good for so long? Freshly pumped breast milk is good at room temperature for 4-6 hours, in the refrigerator for 3-8 days, and in the freezer for 6-12 months. Thawed breast milk needs to be used within 24 hours. When you are a new, sleep deprived, trying your hardest to do best for your baby parent, it is hard to remember all this information! If you have ever pumped breast milk, you know how frustrating it can be to try to remember exactly WHEN you pumped the breast milk, and if it is still okay to give to your baby. Some have tried post it notes, scotch tape, notes on the fridge, and more! There are even some breast milk lids that let you say what day you pumped the milk, but not what time! Every breastfeeding and pumping mom dreads throwing out milk. When you are pumping, you most definitely cry over spilled milk! The worst thing you can do is throw it away! Eepples MilkCharm is the perfect solution! MilkCharm is a reusable dial system which allows you to quickly and easily set and read the day and time when your breast milk was pumped. No more guessing! The ease of use is great for those early morning and late night pumping sessions. 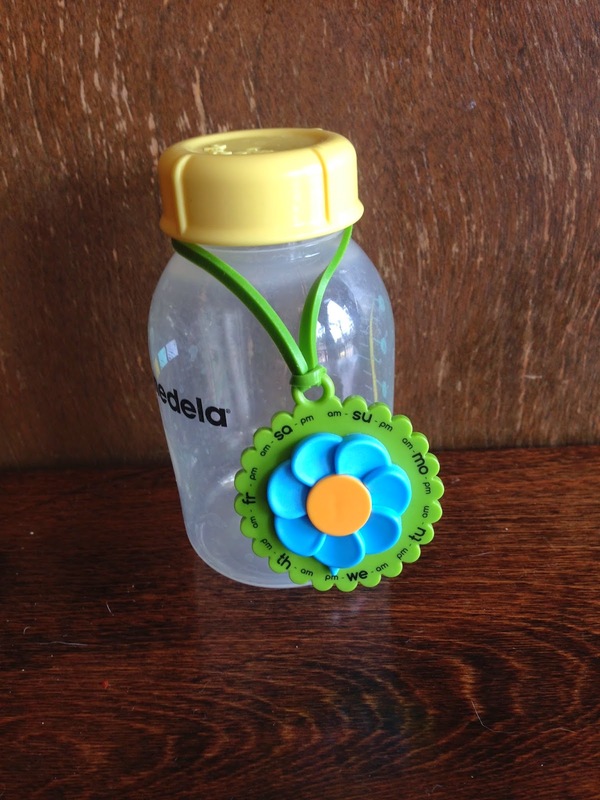 Milkcharms are BPA and phthalate free AND dishwasher safe! 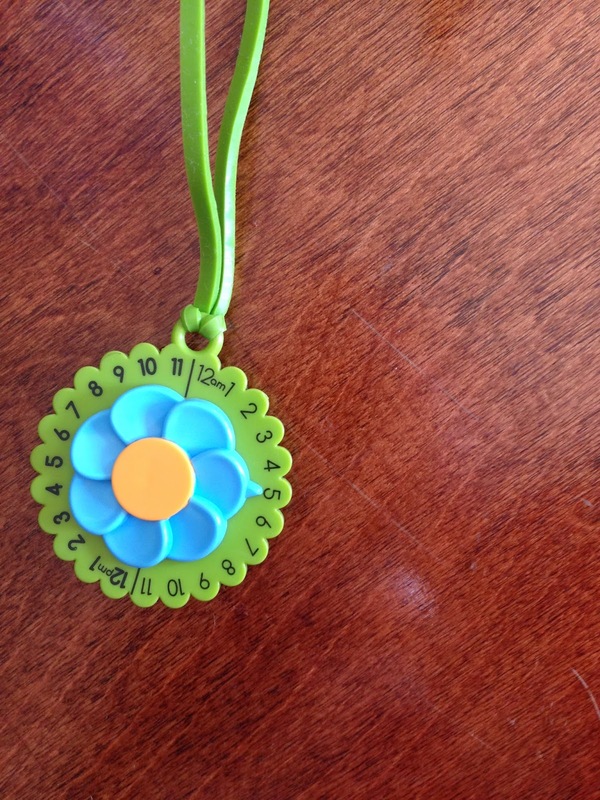 MilkCharm is a super cute double sided dial in the shape of a flower. On one side features the day of the week. In between the days is am or pm. The other side features the time of day, 12 am to 12 pm. This makes it so much easier to know how old the milk is and how much longer it is good for. 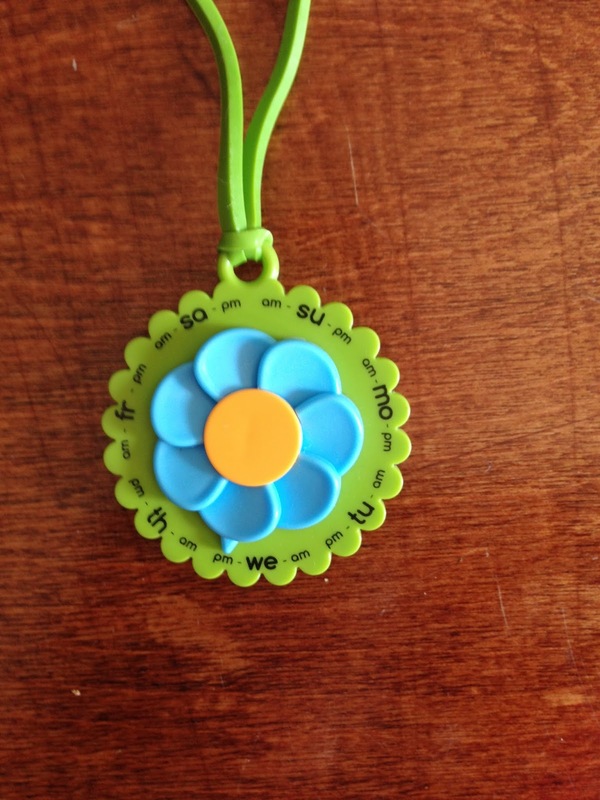 Eepples MilkCharm comes in a mixture of three different colors; orange, green and blue. 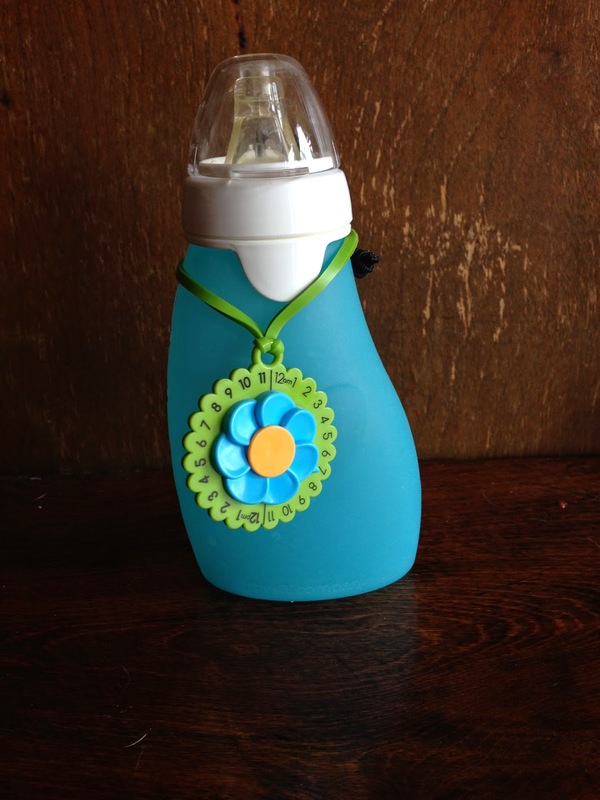 MilkCharms have a nice stretchy band that allows you to use them with virtually any bottle. MilkCharms are made from food grade polypropylene and silicone. They are 100% recyclable. Even better, MilkCharms are made in the USA, in the San Francisco bay area. MilkCharms are not just for breast milk. 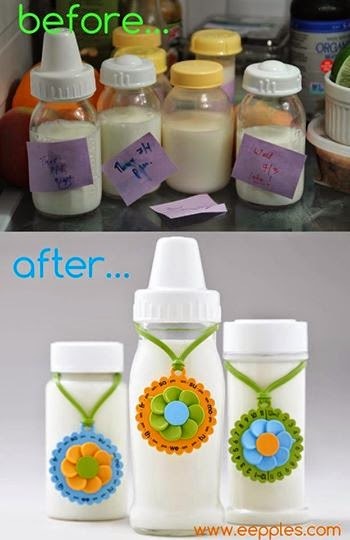 MilkCharms works great with formula and homemade baby food! Formula is good for 1 hour after it has been prepared. Sometimes it is difficult to remember when you last made that bottle! Home made baby food should only stay in the refrigerator for 72 hours. 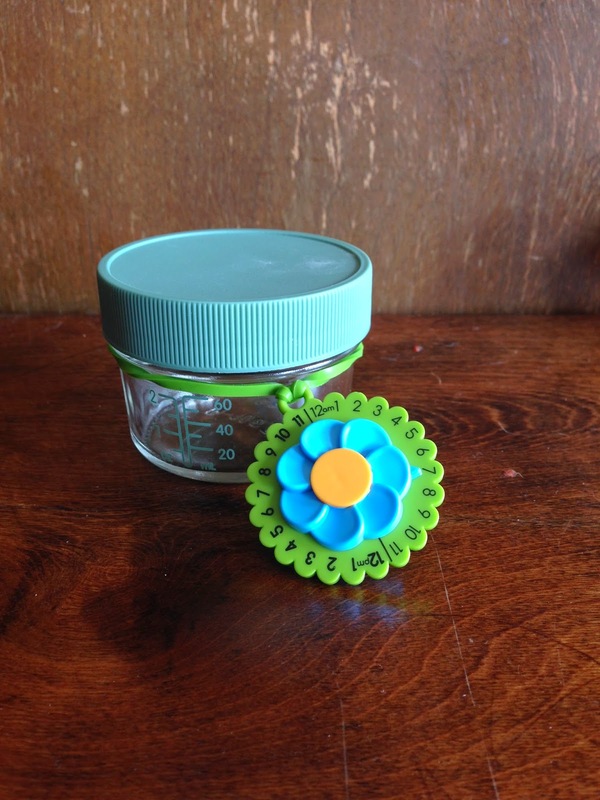 MilkCharm is a great way to label your baby food! great for home made baby food! Enter here to win your very own MilkCharm! Entries must be received by June 6, 2014 at 11:59 PM PST. Winner will be announced on Jun 7, 2014 on Facebook. You can leave a blog comment once a day for an extra entry every day! Do you need to buy some now?!? MilkCharms come in a pack of three and can be purchased for $14.99 here.